The brown cardamom, Elettaria cardamomum is an Indian herb that is possesses amazing health benefits. 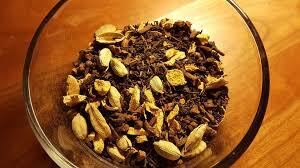 It is characterized with an aromatic flavour. The aromatic seed of this plant is been used as spice, in baking, and also in curry powder in Arabic and Asian cuisines, as well as in Northern Europe and many parts of the world. Though is mainly used in Indian cuisines, the general acceptance and usage in most parts of the world might be as a result of having the knowledge of the great medicinal value this spice possesses. The cardamom are also known as the queen of all spices. There are two different forms of cardamoms that is existing; the green and brown cardamom. The brown cardamom is quite larger than the green cardamom, and it possesses its own unique properties. The brown cardamom contains a lot of essential nutrients, oils and fibres. Because of its medicinal attributes, it is used in curing different ailments and diseases. Including a brown cardamom in our daily diet can make us to be healthy and fit. The brown cardamom is also a good source of antioxidants, potassium and vitamin C. All these nutritional elements it possesses aids in flushing out toxins from the body. It also helps in increasing blood circulation in the body. Apart from the little mentioned, this aromatic queen of spices also helps in maintaining a healthy skin. It prevents allergies and also increases the elasticity of the skin. The list is just endless. Now let us take a deep peep into some of the amazing health benefits of brown cardamom. Respiratory diseases are majorly the diseases that affects the respiratory tract, they includes congestion of the lungs, asthma, cough, cold, and so on. They can be effectively treated with brown cardamom. Cardamom makes it possible for the air to be circulated with ease through the lungs. It is also a good remedy for the treatment of cough and cold. So if you have a close colleague, friend or relation that is suffering with one or more of this ailment, i will advice you suggest a brown cardamom for them. Regular consumption of brown cardamom is highly beneficial in eliminating toxins from the body. It also decrease the harmful effects of acidification. Thus, it ensures that the body is completely detoxified and be in good health. If an individual is suffering from bad breath (or halitosis), chewing this spice will eventually get rid of the bad breath. It is also used in treating oral problems such as ulcers and mouth infections. The natural oil that is present in brown cardamom acts as a sedative which helps to relieve stress and headache. It is also beneficial in treating inflammation and asthma. Brown cardamom is anti-cancerous in nature. It is shown to be effective in preventing various types of cancers. It also possess the ability to check the growth of cancerous cells in the body. brown cardamom increases the level of the antioxidant known as gluthathione.